Perhaps you’ve got a goal to save money this year, but you need a new car. Buying a used car rather than a new shiny one (as appealing as that may be), can save you in a big way. Even if you don’t need to save money, buying a used car is a smart choice. Used cars are of great value. If you are looking for where to buy used cars in the London area, then Pfaff Mazda is the place for you! In this article, we will be taking a look at the benefits of purchasing a certified pre-owned Mazda from our dealership in London! Pfaff Mazda is so confident in our Certified Pre-Owned vehicles, that each one is backed by our Limited Powertrain Warranty for up to 7 years/140,000 kilometres, whichever occurs first, from the original retail date. Mazda knows that the true measure of craftsmanship is found in the details. That’s why each Mazda Certified Pre-Owned vehicle is required to undergo an uncompromising 160-point inspection. From the sound system to the exhaust system, factory-trained technicians inspect every aspect of the car to help ensure that it’s worthy of the Mazda badge. If, in any way, a vehicle falls short of our high standards, it is thoroughly reconditioned and re-evaluated. If you are looking to buy used cars in the London area, then buying a certified Mazda that has been thoroughly inspected is the way to go. Mazda Certified Pre-Owned vehicles are covered across Canada and the Continental United States 24/7 with a complimentary Mazda Roadside Assistance Program. That means added peace of mind comes at absolutely no cost to all Certified Pre-Owned vehicle owners. You’re automatically enrolled in the program for the duration of the Certified Limited Powertrain Warranty period. Services include jump-starts, flat tire changes, gas delivery, lock-out assistance and trip planning. You can also get a tow to the nearest authorized Mazda dealership (up to 100 km) for warranty-related, covered repairs. 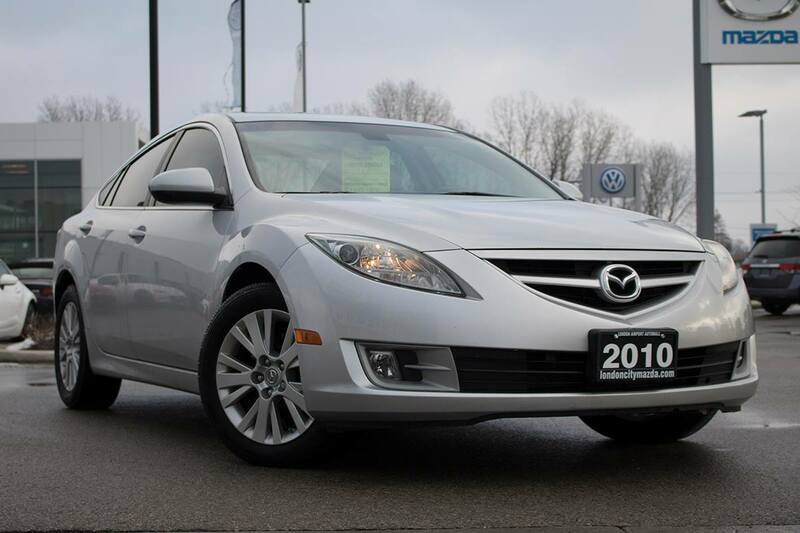 Our Pfaff Mazda dealership in London is home to a large variety of certified pre-owned vehicles. If you are looking for where to buy used cars in the London area, we highly suggest that you pay us a visit today! Click here to find our contact information, schedule a test drive, or to fill out our contact form.